This is another question that got a variety of interesting answers. What I was going for is to put matches or lighters near the candles. 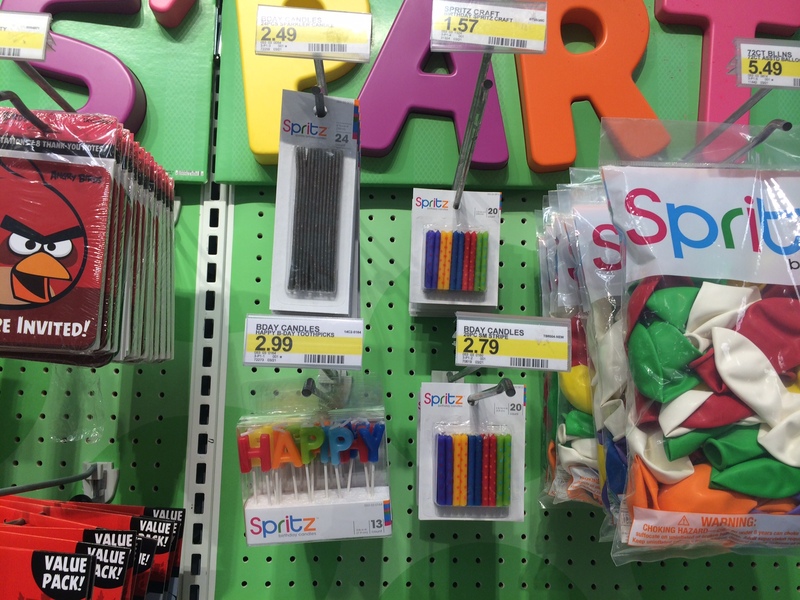 If you’re rushing to get party supplies, you want the toothpicks that say “Happy Bday,” candles, balloons … and something to light the candles with. There isn’t even a note that says where the matches are. I had to find someone to tell me they were all the way on the other side of the store. The items are pushed back. They should be close to the front of the peg. There is no alignment among the different items. Candles are on two pegs. But the top peg is clearly intended for something else. At $1.57 vs. $2.79, people would be upset. Green is an ugly color for a background. Although the focus of the question was on the retail display, I’d also fix the packaging/bundling. For the candles, I’d include a few matches. Maybe use the back of the card for a striker. The sparklers (the black things) look ridiculous and boring. From a distance, you have no idea what they are. I’d have a background with sparkles on it. Previous Post redesignQuiz: How would you improve this Target display?